Inducted into the Illinois Athletic Hall of Fame. Individual Big Ten Champion – 1965, 1967. NCAA All-American – 1965, 1967. Captain of MSU’s 1967 National Championship Team. Member of five USA World Teams. Placed in the World Championships four times and won the silver medal twice. Silver Medalist, 1968 Mexico City Summer Olympics. Gold Medalist, 1971 Pan-American Games. Won the United States’ first Gold Medal in the prestigious Tiblisi Russian tournament – 1970. AAU Champion – 1973, 1974. Gold Medalist at the Veterans World Championship -1993. Inducted into the National Wrestling Hall of Fame – 2004. 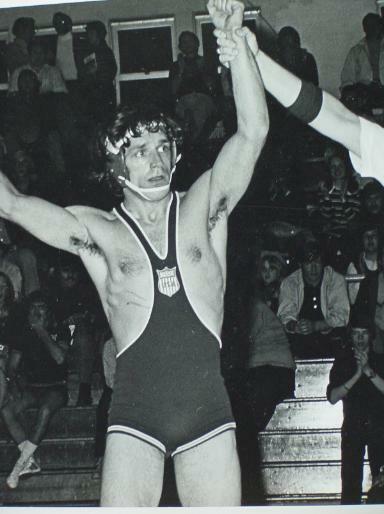 National Wrestling Coaching Staff – 1976-1982. East Lansing High School – Head Coach.